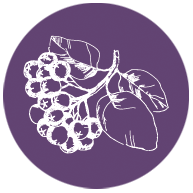 THE European super-fruit, the aronia berry („chokeberry“) is currently experiencing a major boost. Not only do those tiny blackish-red berries naturally contain vitamins, minerals and phytochemicals, but they are also rich in manganese. 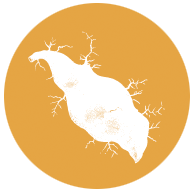 This trace element can protect the cells from oxidative stress. 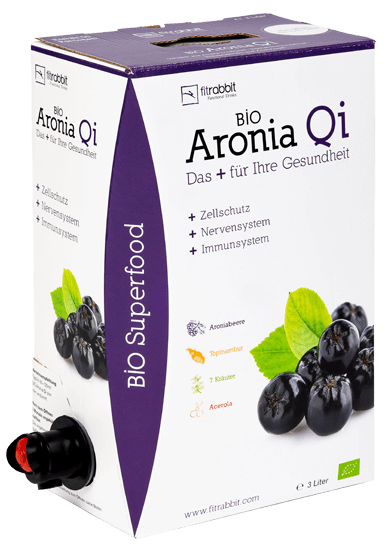 The aronia berry in BIO Aronia Qi is complemented by tobinambour („sunroot“), which contains inulin, a dietary fiber. 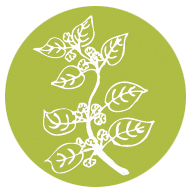 Eventually, BIO Aronia Qi is completed with a composition of herbal extract and acerola. This combination ensures a pleasant taste, especially compared to pure Aronia juice. 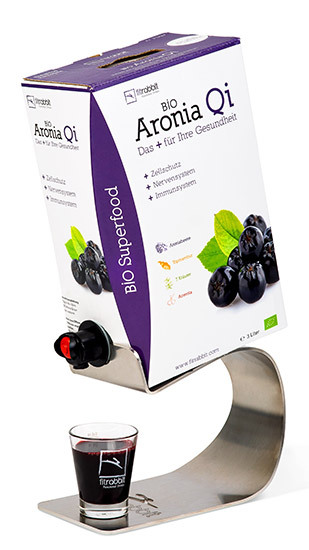 BIO Aronia Qi makes a contribution to the supply of potassium, manganese and vitamin c: Manganese contributes to normal energy-yielding metabolism, to the maintenance of normal bones, to the normal formation of connective tissue and to the protection of cells from oxidative stress. Potassium contributes to normal functioning of the nervous system, to normal muscle function and to the maintenance of normal blood pressure. Vitamin C contributes to normal collagen formation fort he normal function of blood vessels, to normal energy-yielding metabolism, normal functioning oft he nervous system, to the normal function of the immune system, tot he protection of cells from oxidative stress and to the reduction of tiredness and fatigue. High in fiber, contains inulin. 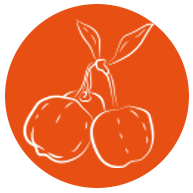 A varied and balanced diet as well as a healthy lifestyle are important. Drink daily 60ml BIO Aronia Qi – at best after a meal. After opening, use within 3 months. Product must not be cooled. Available in the handy bag-in-box incl. integrated tap. Stainless steel dispenser available separately.